Mr. Mayeri’s experience includes a wide range of accounting, auditing, tax and consulting services that have been provided to a diversified clientele in a variety of industries. These industries include real estate, construction, insurance, the financial services arena, professional corporations and partnerships, product distribution, wholesale and retail trades, and advertising agencies.Mr. Mayeri’s consulting experience also includes non-judicial workouts, projections and forecasts, litigation consulting and expert witness, forensic accounting, pre-acquisition due diligence, structuring of real estate transactions, and business valuations. He is also credentialed as a certified valuation analyst (CVA), and master analyst financial forensics (MAFF) by the National Association of Certified Valuation Analysts. Mr. Mayeri is licensed to practice in the states of California and Alabama, and is an active member in both the California Society of Certified Public Accountants, and the Alabama Society of Certified Public Accountants.Mr. Mayeri recently relocated from Los Angeles, CA to Birmingham AL, in order to provide greater access to the east coast and midwest markets, and still maintains a presence with his the west coast clients. He is available to travel nationally. His national firm background coupled with his boutique firm approach affords him the ability to deliver the sophistication of a national firm at affordable rates. There is no charge for an initial consultation. Click here for a list of services provided. 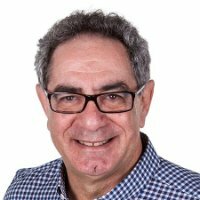 Click here to view Robert Mayeri’s profile on LinkedIn.